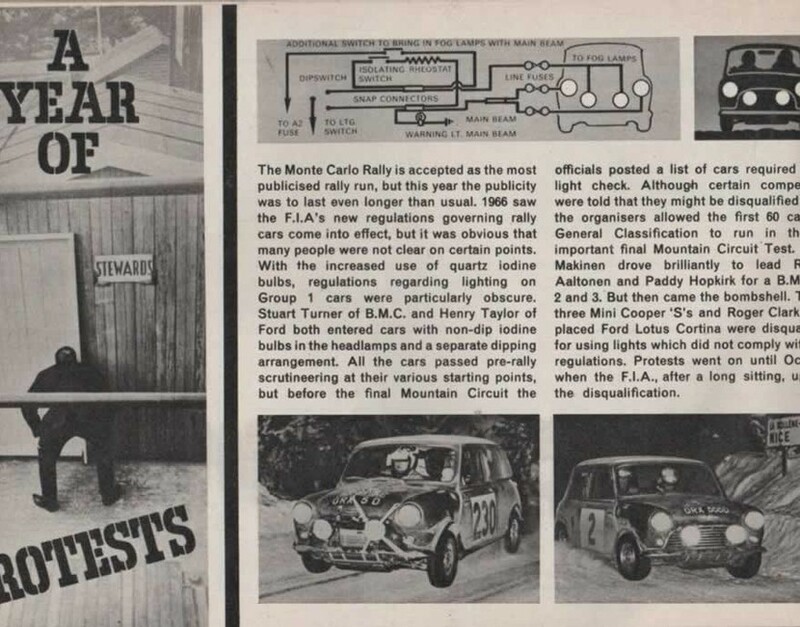 Winning the rally gave the car a great deal of credibility and publicity. 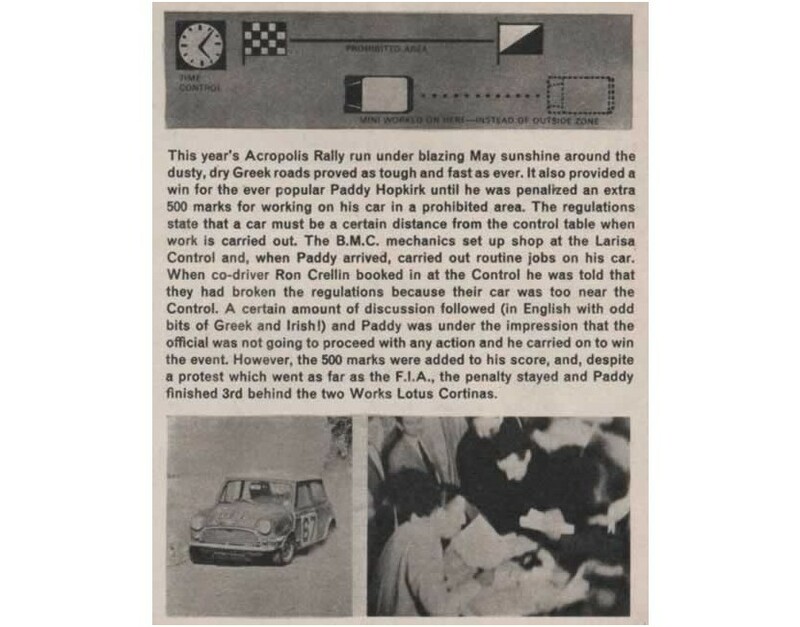 The 1966 event was the most controversial in the history of the Rally. 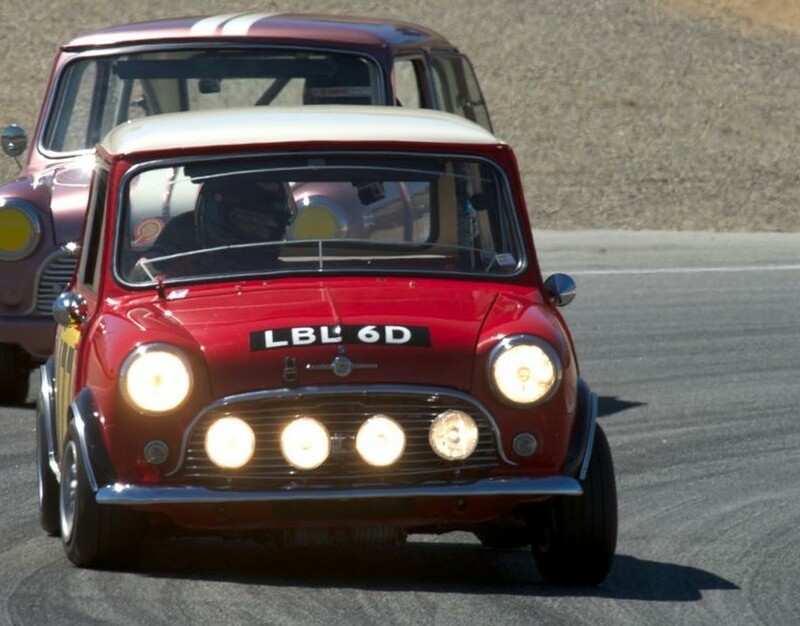 The first four finishers driving three Mini-Coopers, Timo Mäkinen, Rauno Aaltonen and Paddy Hopkirk, and Roger Clark's 4th-placed Ford Cortina "were excluded for having iodine vapour, single filament bulbs in their standard headlamps instead of double-filament dipping bulbs." This elevated Pauli Toivonen (Citroën ID) into first place overall. The controversy that followed damaged the credibility of the event. Rauno August Aaltonen (born January 7, 1938), also known as "The Rally Professor", is a Finnish former professional rally driver who competed in the World Rally Championship throughout the 1970s. 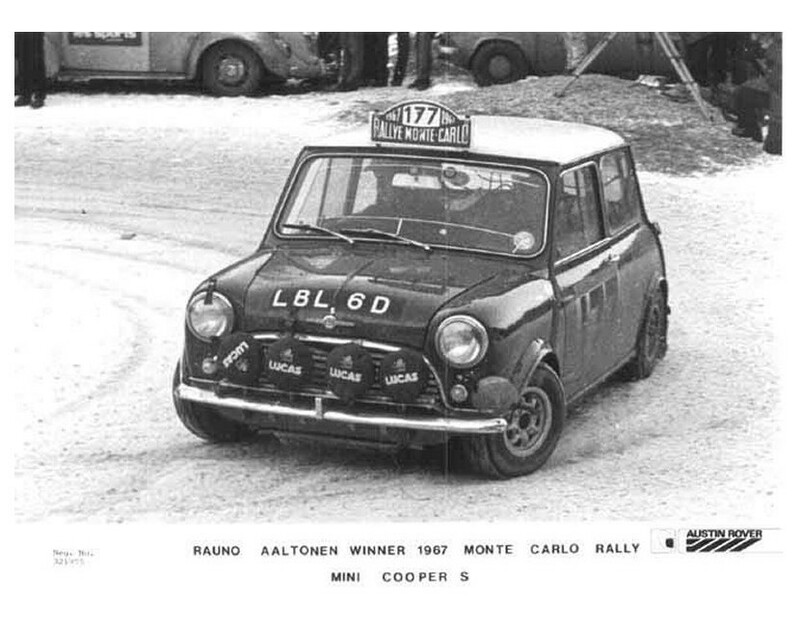 Before WRC was established Aaltonen competed in the European Rally Championship. 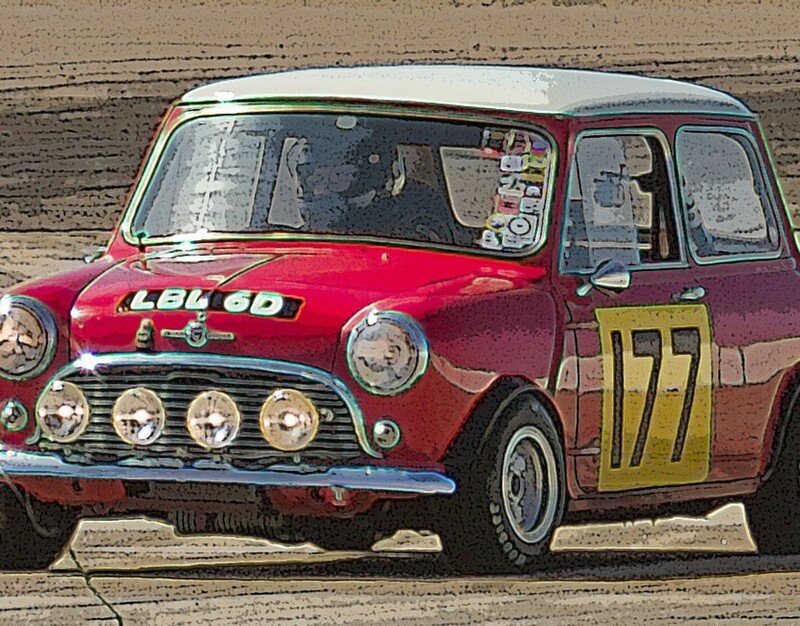 He won the championship in 1965, with Tony Ambrose as his co-driver. 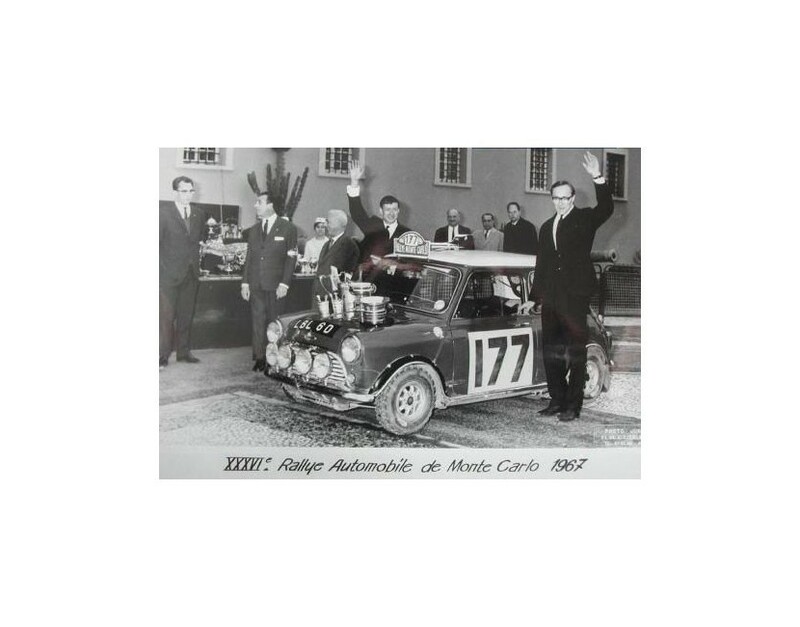 He also won the Finnish Rally Championship in 1961 and 1965. 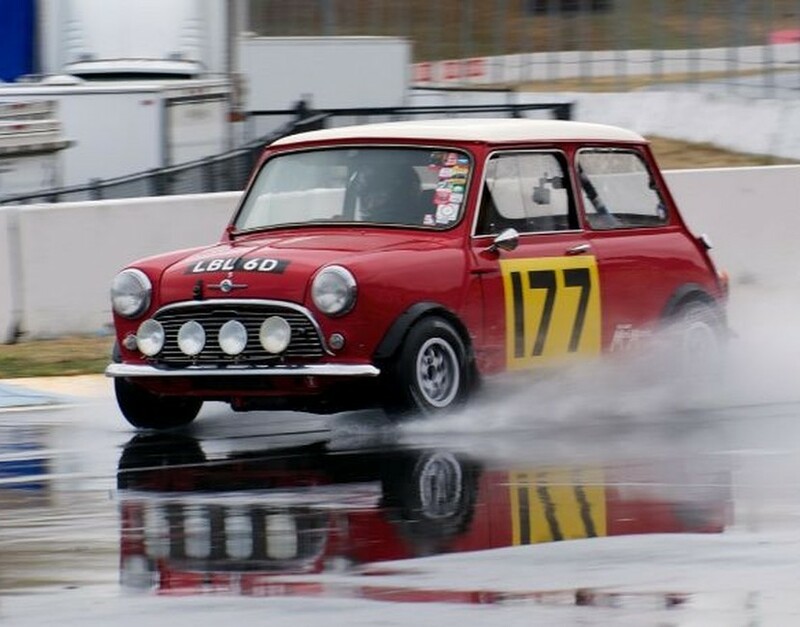 In 1966 he partnered Bob Holden in Australia to win the premier touring car race, the Gallaher 500, in a Mini Cooper S at Mount Panorama in New South Wales. Aaltonen finished second on six occasions in the Safari Rally, which is considered one of the most difficult courses in rallying. 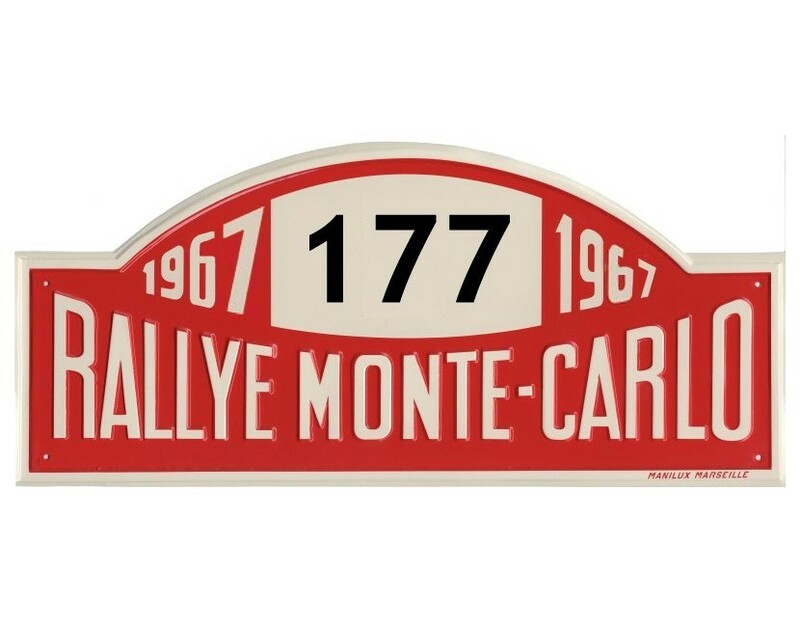 In 1985, he was leading the rally by two hours when his engine broke down before the last few special stages. 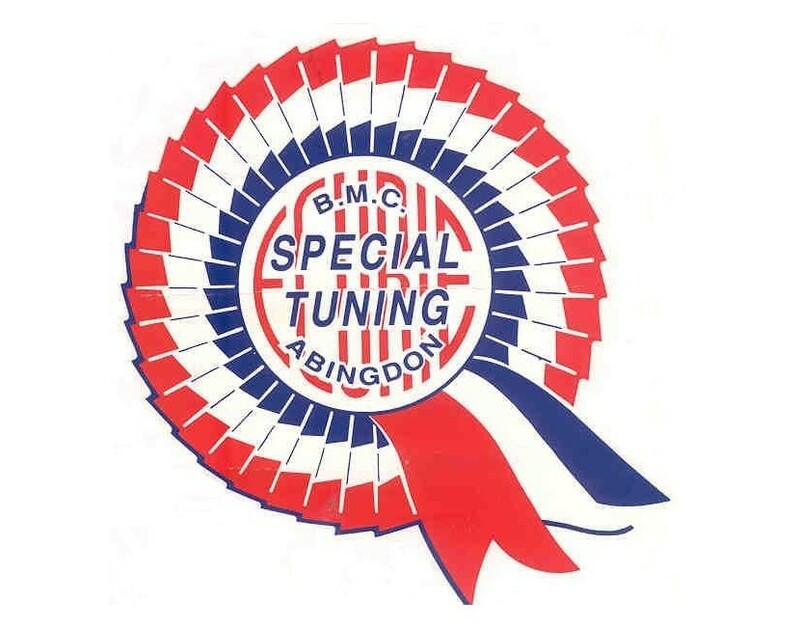 His other merits include winning the RAC Rally in 1965, the Monte Carlo Rally in 1967 and the Southern Cross Rally in 1977. 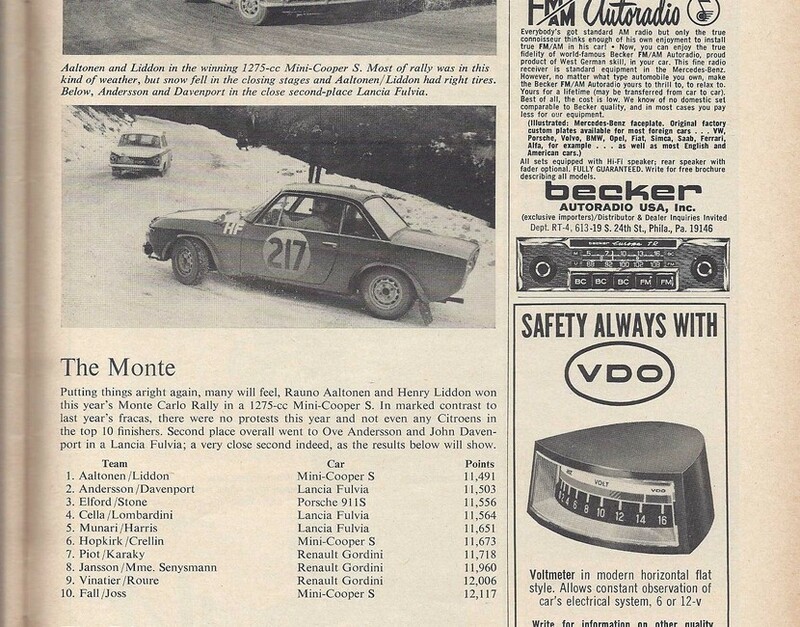 Despite now being remembered as one of the Flying Finns of rallying, Aaltonen started his career on speed boats and later moved on to motorcycles competing in road racing, speedway and motocross. Before he became the first Finnish European Rally Champion, he was the first Finn to win a Grand Prix motorcycle racing competition. 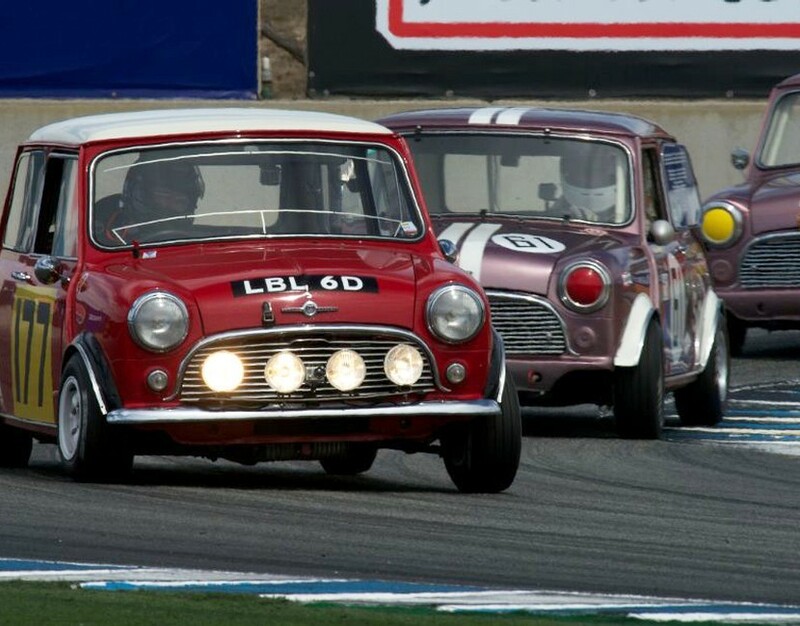 He was a proponent of left-foot braking. 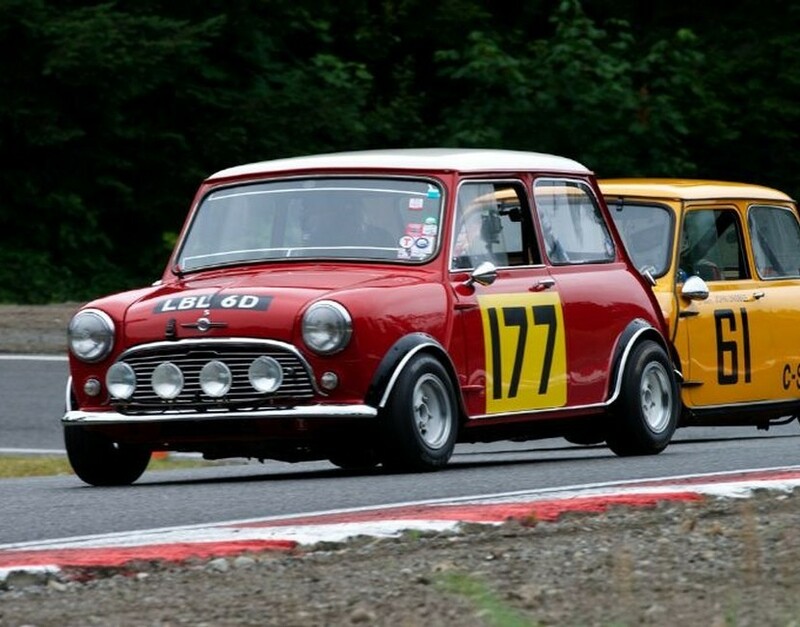 This car has been raced since 1982. 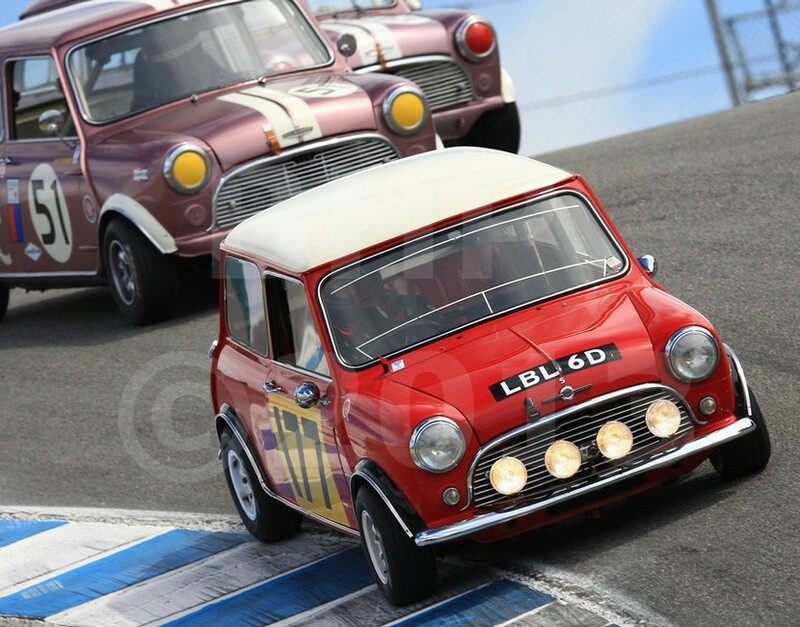 It is a replica of the 1967 Monty Carlo Ralley Winner, as the real car has since been destroyed. 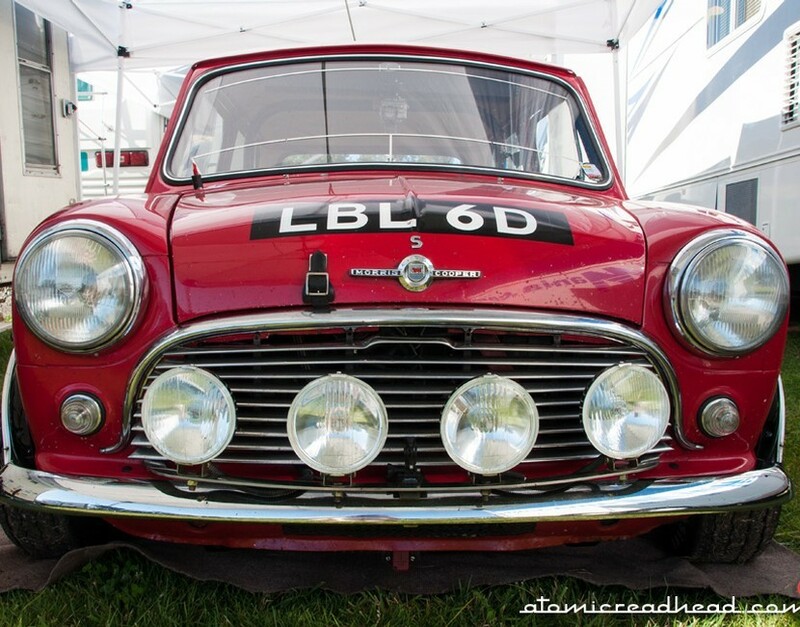 This replica has competed in over 100 vintage events all across the nation since it's construction.